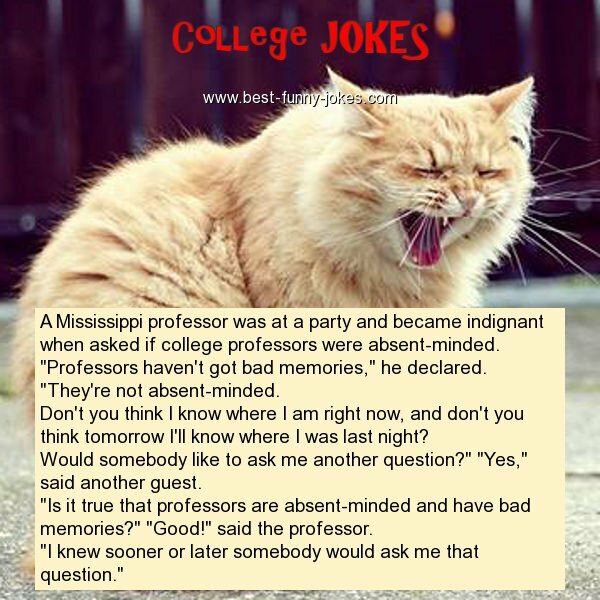 A Mississippi professor was at a party and became indignant when asked if college professors were absent-minded. "Professors haven't got bad memories," he declared. Don't you think I know where I am right now, and don't you think tomorrow I'll know where I was last night? Would somebody like to ask me another question?" "Yes," said another guest. "Is it true that professors are absent-minded and have bad memories?" "Good!" said the professor. "I knew sooner or later somebody would ask me that question."